The gaming workstation build today will be focused building an excellent gaming PC that can handle games on large, high resolution monitors such as 1440p, 1600p and 4K as well as handle workstation productivity applications such as photo editing, video editing, 3D modeling, video encoding, CADD, and more. This build today will have a budget of $2,000 and have a focus of creating a top notch gaming workstation build that’s not only fast and powerful, but also quiet as well. Congratulations to AMD as the AMD Ryzen 1700 has made it into our best gaming workstation builds series for the first time ever! Why? This new AMD Ryzen processor is simply a beast, packing 8-cores and 16-threads on AMD’s new Zen CPU architecture. Clock speeds on the AMD Ryzen 1700 go up to 3.7GHz, but it’s also unlocked as well for the more adventurous PC builders who want to dip their toes in a bit of overclocking. 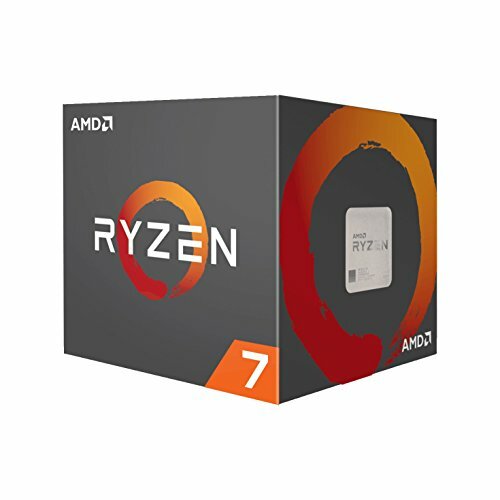 Given that applications like video editing, 3D modeling, rendering and others can heavily utilize multiple threads, this makes the AMD Ryzen processor an excellent choice for a workstation build. What’s really special about the AMD Ryzen 7 1700 however, is its price. At under $300, the AMD Ryzen CPU not only significantly outperforms its chief competitor, the Intel Core i7-7700K, but it’s also slightly cheaper as well making it an obvious pick for our gaming workstation build. Paired with the AMD Ryzen 7 1700 is the MSI X370 Gaming Pro motherboard. While the MSI X370 Gaming Pro is primarily geared at gamers, the MSI X370 Gaming Pro is an excellent motherboard that packs all the features workstation users would ever need. Based on the AMD X370 chipset, the MSI X370 Gaming Pro features the new AMD AM4 socket, designed to be used with the new AMD Ryzen CPUs. Additional features of the motherboard include support for up to 64GB of DDR4 RAM, three PCIe x16 slots (two PCIe 3.0, one PCIe 2.0) for multi-GPU expansion options, M.2 SSD support, SATA 6Gbps, USB 3.1 support and more. There are few names out there more reputable than Corsair when it comes to high performance, reliable RAM. As such, we’re recommending Corsair’s Vengeance LPX 16GB (2x8GB) kit which the perfect memory kit for this build. We like the Corsair Vengeance LPX kit because these are specifically designed to be low profile which will ensure there aren’t any clearance issues involved when installing large CPU coolers. With 16GB of RAM, the kit should also provide plenty of RAM for gaming and workstation applications however, those planning to do more memory intensive tasks such as video editing or 3D modeling with large scale 3D models should consider purchasing two kits which will bump up total memory to 32GB. For those who need even more RAM, Corsair also offers a 64GB Corsair Vengeance LPX DDR4 kit. Thanks to the substantial $2,000 budget on this build, we decided to go with the ASUS ROG STRIX GTX 1080 graphics card which will make this build extremely powerful not only as a workstation system, but also a gaming system. Featuring Nvidia’s new Pascal architecture and built on TSMC’s 16nm FinFet process, the ASUS ROG STRIX GTX 1080 is a top tier graphics card that will be able to play the latest games at the highest quality settings at 1080p, 1440p, 1600p and for many games, 4K without issues. Those looking for a graphics card strictly for the workstation however, will likely be better served by purchasing an AMD Radeon Pro or Nvidia Quadro graphics card. 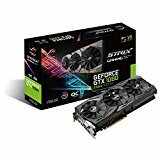 These graphics cards are specifically designed for professional workstation applications and come with driver and software packages specifically optimized for applications such as CADD, 3D modeling or video editing. Workstations are designed for work, so a quiet and subtle case that has plenty of room for expansion and growth is one of the most important aspects of an excellent workstation build. This is why we’ve chosen the Phanteks Eclipse Series P400S Silent Edition case. 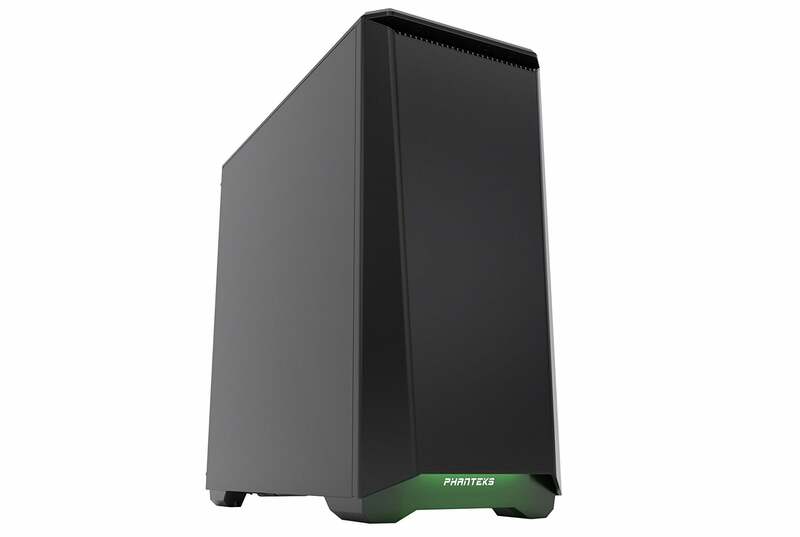 In many aspects, the Phanteks Eclipse P400S is very similar to its brother, the Phanteks Eclipse P400, but it also packs built-in sound dampening panels as well as an integrated fan controller to ensure the case is nice and quiet when it needs to be. In addition, the case also features a tool-less design, excellent materials for the pricepoint, and plenty of expandability should you decide to throw in another graphics card or put in some major upgrades along the way. For storage on a high end workstation, there’s really few alternatives to the Samsung 960 EVO or 960 Pro series of SSDs. Thanks to the significantly lowered pricetag of SSDs these days, we’re able to fit in a whopping 500GB of PCIe NVMe SSD storage capable of speeds up to 3.2 GB/s. This will help significantly improve loading times and response times of everything ranging from the latest games to launching Adobe Premiere. Those who need significant additional archival storage can also purchase a HDD to complement the SSD. Currently 4TB Seagate BarraCuda HDDs can be had for well under $110, which should provide plenty of storage space. Those who need particularly fast archival storage can also look into the Samsung 850 EVO SSD, which is offered in storage capacities of up to 4TB, but expect to pay a pretty penny for the massive storage capacity. Some readers have expressed interest in monitor, speaker, mice and keyboard suggestions, so we’ve also started including some recommendations for these items as well. I won’t be explaining the choices as these optional components are quite dependent on the purpose of PC (For example, someone serious about audio may end up going with something like an Audioengine 5+ paired with an ASUS Xonar Essence STX), but here are some suggestions that are a good fit for this build based on the system’s budget and intended purpose. Questions? Thoughts? Let us know!